Waterton Lakes National ParkThis image has a special story behind it... Last summer, Kevin and I went on an interpretive hike called "Bison for Breakfast" in Waterton Lakes National Park. Our Parks Canada interpreter, Nikole Poirier, did such a fantastic job teaching us about the history of the area - which is why I love interpretive hikes! To dig in and really understand the area you are exploring gives you a much more profound experience. I also believe you create better images when you connect with the landscape you are attempting to capture! Thank you, Nikole, for expanding our knowledge and helping us to connect with this landscape in a new way. I was so thrilled that my image spoke to you - and the frame you built for the image is absolutely perfect. It became quite a beautiful collaboration! Waterton Lakes National Park(C) Erin Stinson 2015 Waterton Lakes National Park "Bison For Breakfast"
Banff National Park of CanadaDe l'été 2014, Chephren Lake et Howse Peak (3290m), Banff National Park, Alberta. / Mighty Howse Peak from summer 2014. Waterton Lakes National ParkThe Bison Paddock Loop Road is now open. We currently have 14 bison in the paddock ... the first calf of the year is yet to arrive. For your safety, when driving the Bison Paddock you must stay in your vehicle. No motorbikes or bicycles. Waterton Lakes National ParkIs it summer? Sunny skies and highs of 26°C (79°F) forecast for the next few days. Photo taken from the Bear's Hump today. Banff National Park of CanadaHuge shout-out during National Volunteer Week to the 9,000 volunteers that supported our National Parks in 2015. And a very special thank you to the 1100 that assisted on trails, at events, in research, clean ups, wildlife fence check, weed pulls and native tree planting in Banff National Park. Banff National Park of CanadaA new TV documentary, Wild Ways, shows how wildlife corridors bridge the gap between isolated populations of animals. Cool to see this “connectivity conservation" at play in Banff National Park. Waterton Lakes National ParkBlackfeet Nation to welcome bison from Canada thanks to Northern Tribes Buffalo Treaty. Inii Initiative aims to reintroduce the animal to the Rocky Mountain Front, including Glacier National Park, Waterton Lakes National Park and the Badger-Two Medicine area. Banff National Park of CanadaThis is Moraine Lake Road as of April 11, 2016. The road usually opens to vehicles around the third weekend in May. We'll keep you posted as conditions change. If you're looking for cycling, the Bow Valley Parkway is still your best bet! Waterton Lakes National ParkVimy reflecting in the lake on a beautiful, calm spring day in Waterton Lakes National Park. Photo: J. Stoesser. Waterton Lakes National ParkDiscover the windows of Waterton Lakes National Park, in Southwest Alberta. Explore | Dine | Rejunvenate Glacier Park, Inc.
Waterton Lakes National ParkParks Canada has completed the second stage of its prescribed fire plan for Waterton Lakes National Park this season. Fire crews successfully burned areas of open grassland and some aspen in the Red Rock Complex. 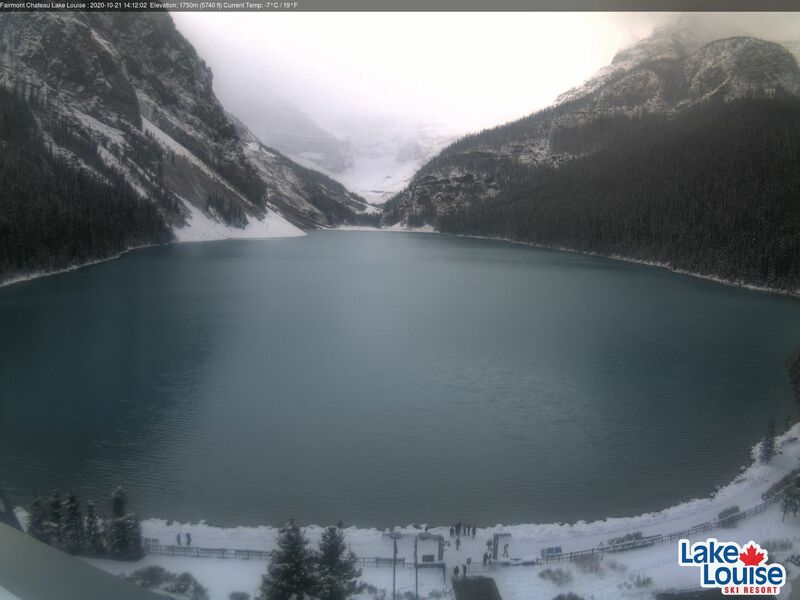 Banff National Park of CanadaApril Fool's Day! Banff National Park of CanadaNext time you grab those binoculars, you'll need to get the bird's consent, according to new bird watching regulations in Banff National Park. Banff National Park of CanadaWhat do you think of our new logo design? Banff National Park of CanadaWe aren't the only national park with wildlife crossing structures. Our neighbours to the west in Kootenay National Park have a new set of wildlife underpasses. Like us, they use remote cameras to better understand how the structures are being used. Here's a peek at what researchers look for when reviewing those images. Enjoy! Waterton Lakes National ParkWe had a beautiful snowy scene in the park this morning. Banff National Park of CanadaParks Canada, Avalanche Canada and Kananaskis Country are issuing a special public avalanche warning for backcountry users for the coming long weekend. The warning applies to Banff, Yoho, Kootenay, and Jasper National Parks, Kananaskis Country, and Avalanche Canada’s Purcells and the North Rockies regions. The warning is in effect from March 25 to March 28. Waterton Lakes National ParkSpring in Waterton Lakes National Park - what's your favourite activity? Banff National Park of CanadaIt's a great pleasure to be featured on the list of the 10 most unforgettable winter things to do in Banff National Park, as recommended by The Planet D.